You guys!! I heard earlier this week that Common had received a review from Readers' Favorite, and it got FIVE STARS!!! Eeeeek! 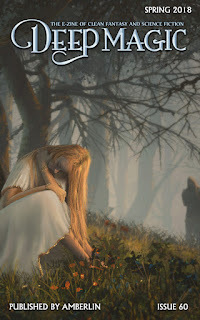 The review was so detailed and sweet, I may have gotten a bit teary-eyed while I read it :) You can find the full review here, but I'll share a few lines: "The entire reading process was a magical journey in itself. Readers will find it difficult to stop reading, just as I did. Common makes you want to go on and on until you realize you have reached the end of the story. It just has that kind of magical pull." Can you see why I'm grinning over here?? I also had a few more guest posts over the past few weeks! I stopped by Linda B. Davis's blog to share about my life before I became an author, the process of publishing Common, and what I'm up to now - find it here. Then I had an opportunity to visit Toni Shiloh's blog to chat about the joys and challenges of writing companion novels, which you can find here. In other exciting news, the Mythical Doorways anthology releases in just over a week! Yay!!! I've been reading the other stories this week, and there are some great characters and worlds in this book, and a fantastic variety! You can now find it on Goodreads, and it's available for pre-order on Amazon! We also have some fun events coming up to celebrate! The Fellowship of Fantasy is hosting a writing contest for short pieces inspired by the Mythical Doorways theme. Submissions are open until March 26th, winners will be chosen by popular vote, and the prizes are sets of amazing fantasy books!!! (One prize will be awarded for the 15 and under category, the other for the 16+ age group.) Find all the details here, and then get writing! In addition, there will be a blog tour from March 27th through 29th hosted by the lovely Laura A. Grace at Unicorn Quester, and a Facebook party on the evening of March 29th! Last, Fellowship of Fantasy is partnering with Deep Magic E-Zine for a very special giveaway! 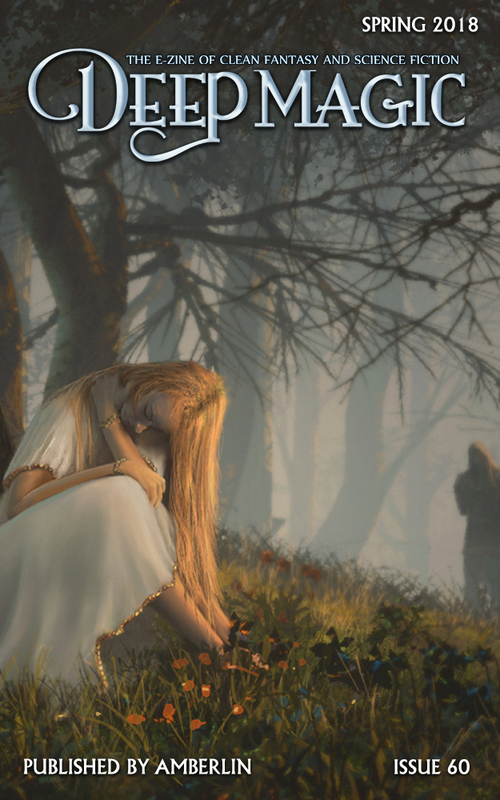 Using the Rafflecopter below, you can enter to win the Spring edition of their quarterly publication featuring wonderful, clean fantasy fiction. Find out more here: http://deepmagic.co/giveaway-fun/. Thanks for sharing the Deep Magic E-zine giveaway! !